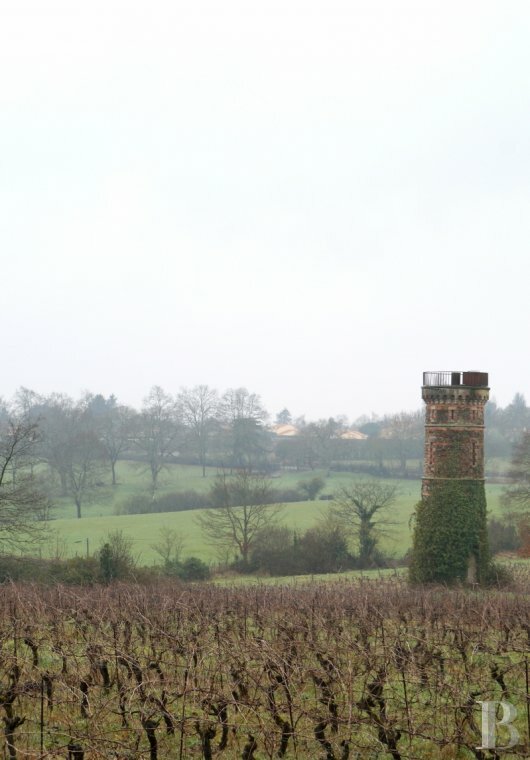 The market town, with all local amenities, is set amidst vines. And yet, Nantes town centre is but 25 km away. The railroad network passing through the town provides links from Brittany’s historic capital to Angers several times a day. The motorway also provides quick access to other large regional towns such as Vannes, Rennes and Laval. Nantes-Atlantique airport, just 35 minutes away, has flights to all the main European capitals. 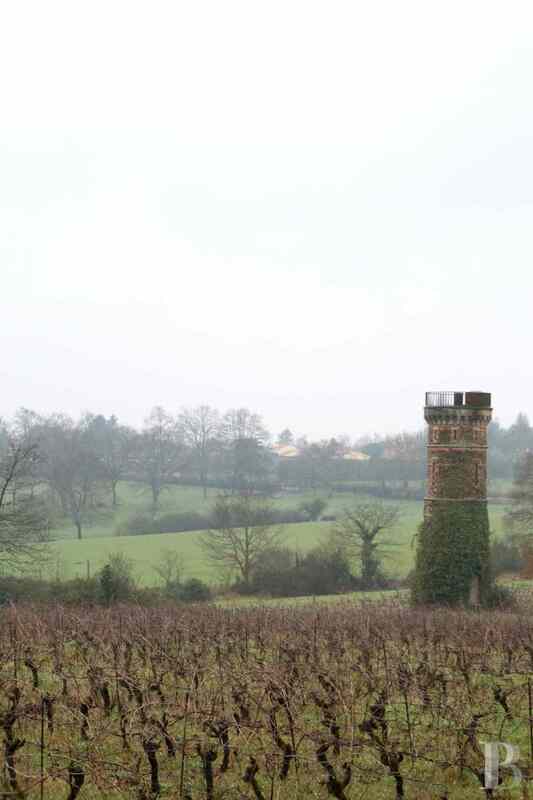 This chateau stands by the side of France’s longest river, in undulating countryside with forests and vines. 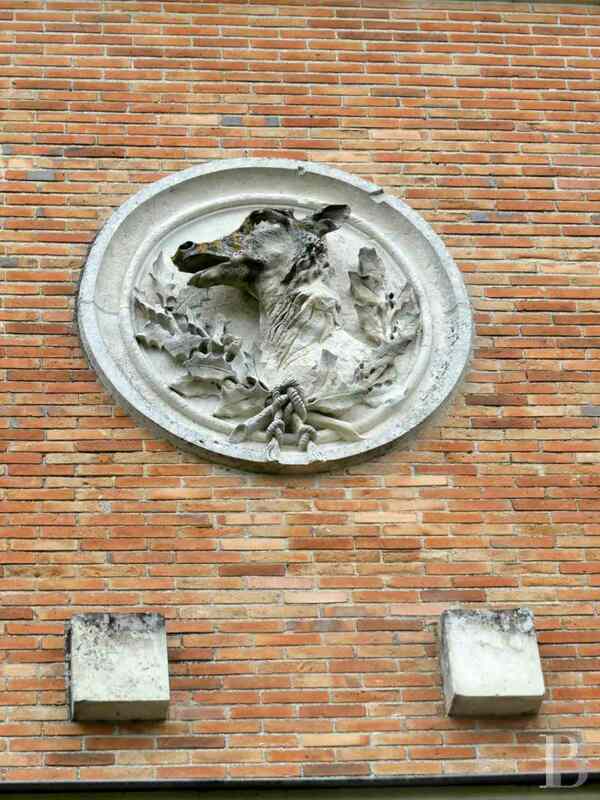 Constructed in 1649 and listed as a French historic building, it is set in a dominant position. 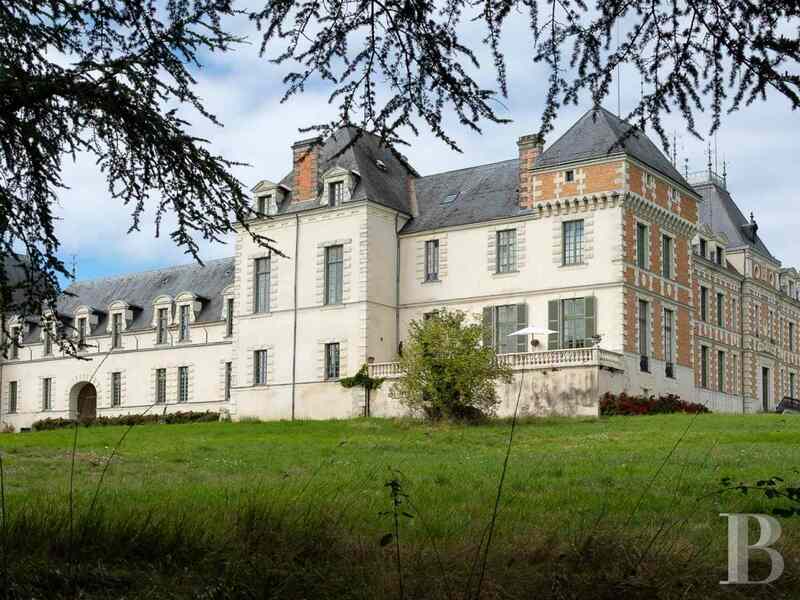 This Louis XIII style chateau has long been the property of large local families. 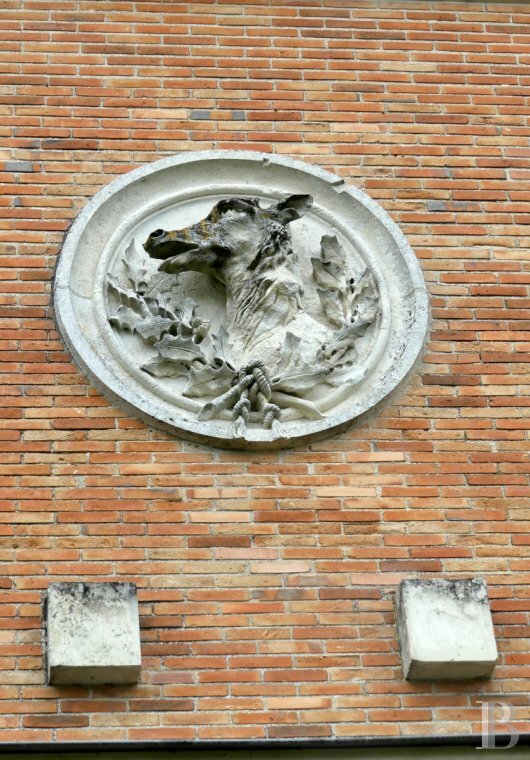 The history of its successive residents, both leading citizens and artists, reinforces the building’s interest courtesy of the tales told about them. A long oak tree-lined driveway, bordered by a stone wall, crosses the vines and fields surrounding the property and leads to the entrance gates, protecting the main courtyard. 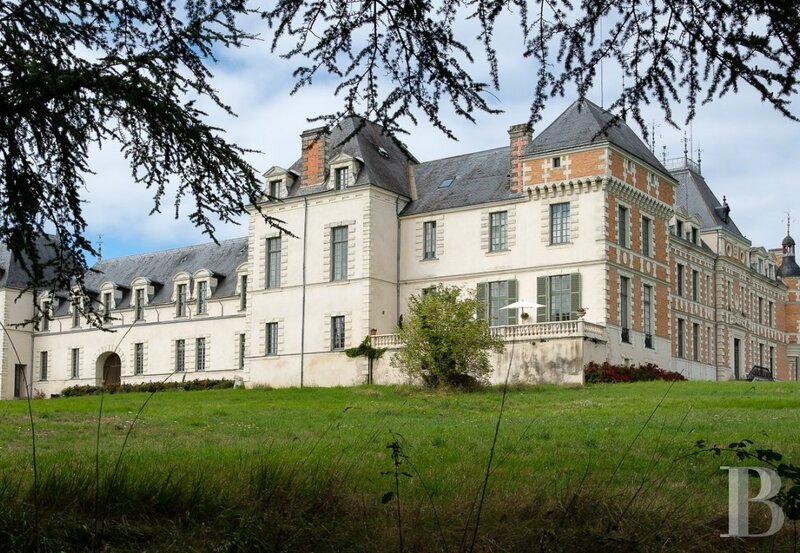 The chateau is entered via the east wing, where the old royal sheepfold has been restored. This 163 m², first floor flat is in the west wing, reached by passing through a vaulted passageway and crossing the main courtyard. The current resident completely restored the flat in 2015. The quality of the works carried out kept the character of the premises just as it was under their predecessors. 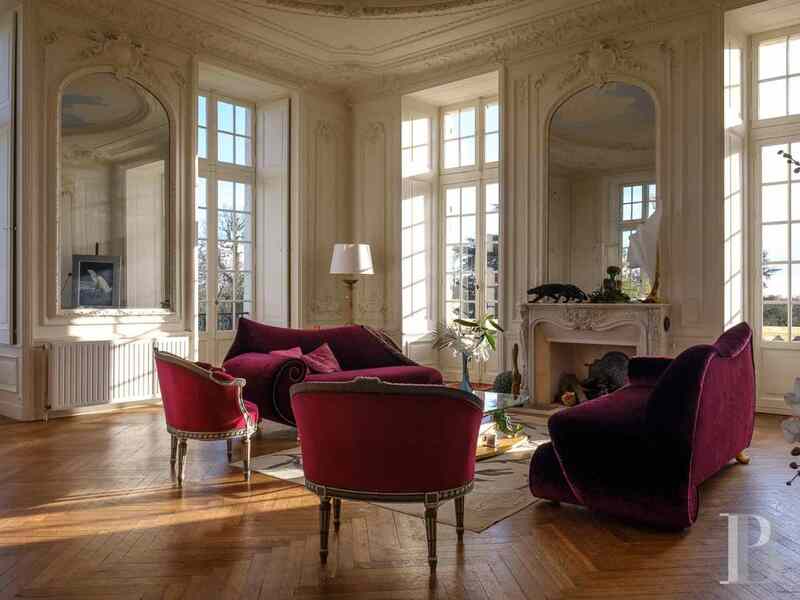 Its high ceilings, its herringbone pattern parquet flooring, its moulding, its windows, its fireplaces, its private terrace, its aspect and its natural surroundings make this a decorative and pleasant flat. 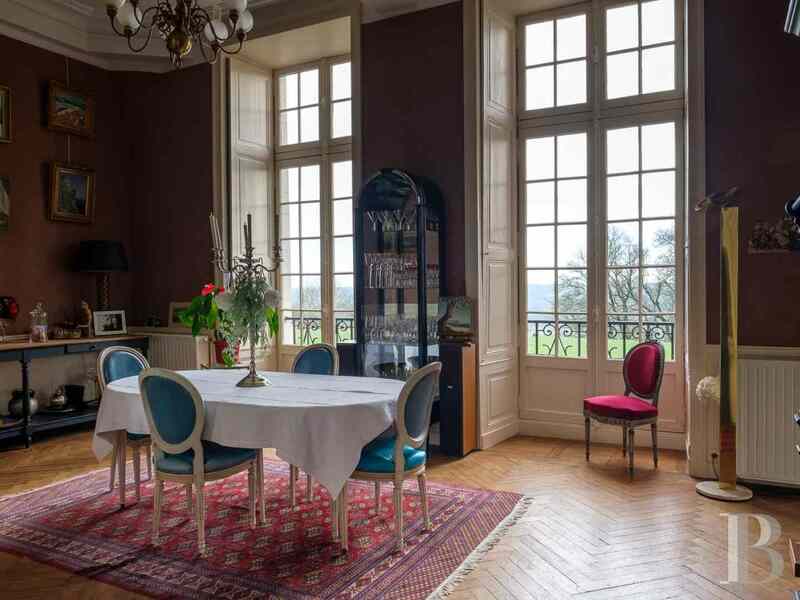 The front door to this flat opens directly into an east-facing, 35 m² dining room with oak wood parquet flooring. Two large casement windows, with small panes and fanlights, let in copious amounts of light. 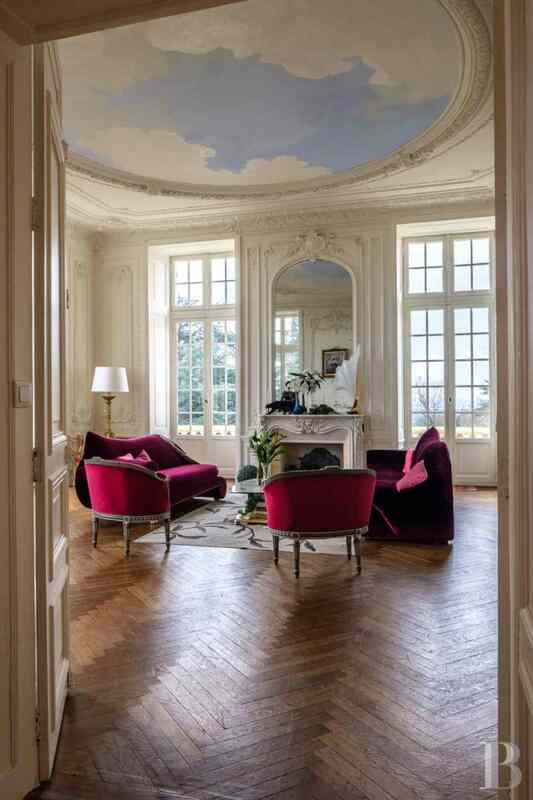 A 52 m² reception room, with a 4 m high painted ceiling, is decorated with moulding and a fireplace. Five large openings give this triple aspect room a view of the rear facade of the chateau and access to a vast terrace that dominates the river Loire and its surroundings. Opposite, a long, tiled, 18 m² corridor provides access to a fully fitted, 9 m² kitchen as well as a separate toilet and three storage areas. Both the kitchen and the corridor have views over the main courtyard through tall casement windows. 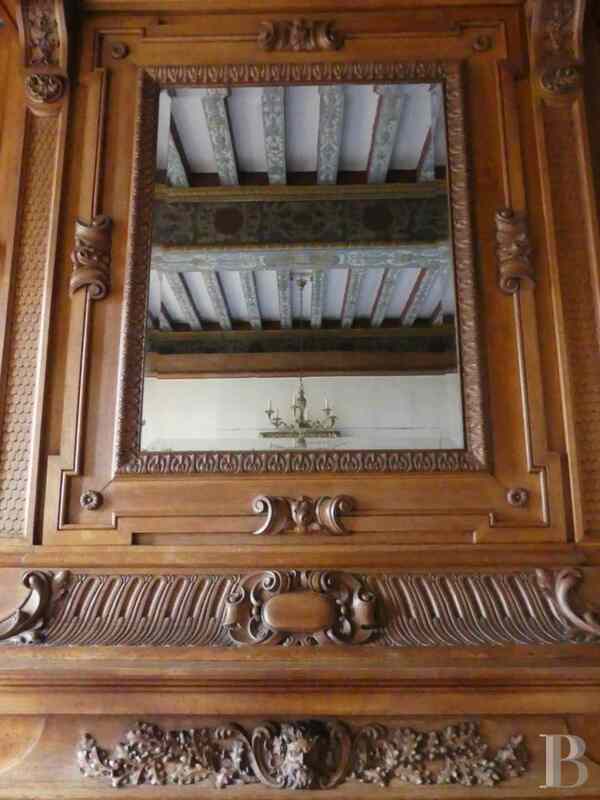 A first, 30 m² bedroom, with solid wood parquet flooring, has an impressive fireplace, topped with a carved trumeau, as well as two large, east-facing windows, a promise of early morning sunlight. A 7 m² bathroom and its toilet, adjoining this bedroom, are decorated in a more contemporary manner. A second, 14 m² bedroom is laid out at the end of the corridor. Featuring oak wood parquet flooring and a large tapestry, it has a mezzanine which can be used as a spare bedroom as well as a 3.5 m² shower room. There is something quite perfect about this Louis XIII style chateau with its symmetry, its contrast between brick and stone and the slate of the pavilion roofs introducing a third colour. 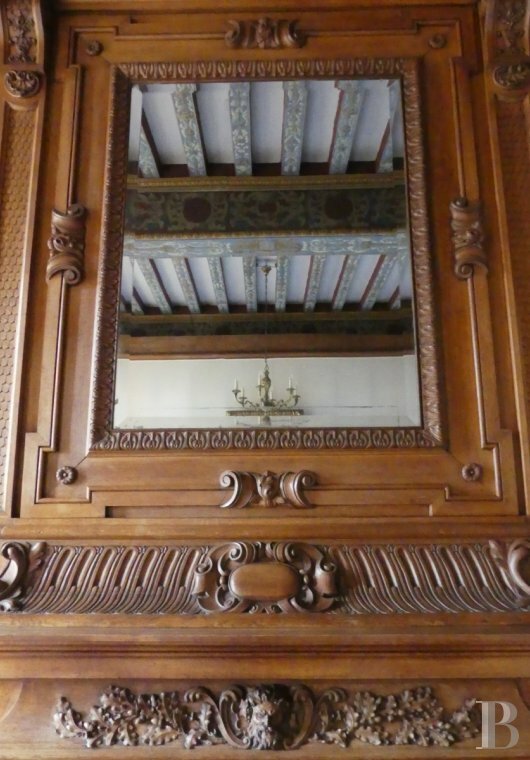 The 18th and 19th centuries left their mark on the decor of the flat, which was meticulously respected by the recent restauration works. 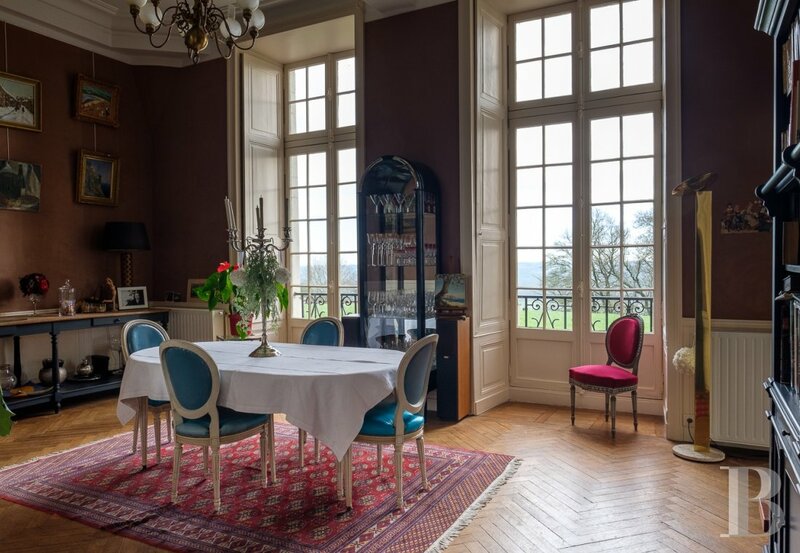 In this instance living in a chateau, less than 30 minutes from Nantes, is not a stereotype. 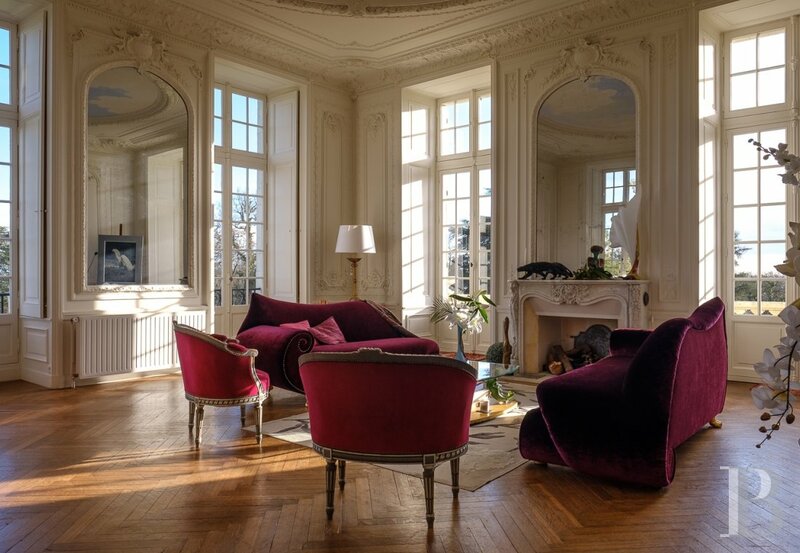 Furthermore, the view over the Loire can be added to the aesthetic quality of the building and the rooms. The river crosses a landscape featuring little valleys, trees and vines. Enjoying such a view from the terrace is the ideal way for residents to recharge their batteries.